Ben Thompson has claimed the FKT, 6h6m53s, September 12, 2017. Kelsey Allen has the women's FKT, 7h12m55s, August 30, 2014. 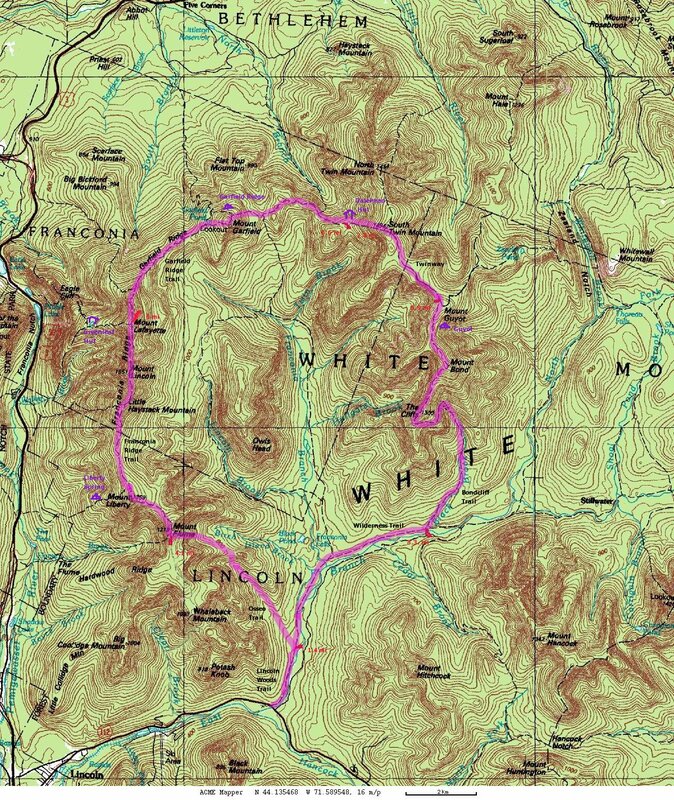 The Pemigewasset Loop is a rugged 31-mile route in the White Mountains of New Hampshire. It has become a popular backpacking route, as well as a tough 1-day challenge. This page has detailed information about the route. Ryan Welts launched a recent spate of FKT attempts on the Pemi by running the route in 7h05m32s on August 9, 2009. He had support on Mt. Lafayette and had made a food drop at Galehead Hut the day before. Slightly more information is available at this thread. Less than a month later, on September 4, 2009, Ben Nephew (9 time Escarpment Trail winner) and Kevin Tilton ran the Pemi in a new FKT of 7h04m47s, taking just 45 seconds off of Welts' record! Their report with splits is here. Jan Wellford beat Nephew & Tilton's time on September 8, 2010, running the loop in 6h47m04s. His report is here. Wellford provided some splits for the run below. 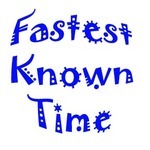 Next, on June 19, 2011, Adam Wilcox did the Pemi in 6h46m10s, less than 1 minute faster than Wellford. Links to Wilcox's report and GPS track are below. On September 11, 2011, Ben Nephew cruised the Pemi in 6h27m48s. Nephew's report is on the Inov-8 team website, and a link to his gps track is below. This time stood as the FKT for nearly 4 years. Adam Wilcox reclaimed this hotly contested FKT on June 14, 2015, running the route in 6h14m34s, as reported below. His report is here. Wilcox said "After almost 4 years of trying, this one meant a lot to me." Not to be outdone, Nephew reclaimed the FKT from Wilcox less than 2 months later, running 6h10m7s on August 8, 2015, as reported below and detailed here. Finally, Ben Thompson has brought the FKT down by a few more minutes, running the loop in 6h6m53s on September 12, 2017, as reported below. As best I can tell, prior to Welts the FKT for the Pemi Loop was held by Alex Kahl, at "about 7h25m" in (August?) 2005. Charles Dona reported doing 7h26m31s in September 2008, which seems to be close enough to "about 7h25m" to be considered a tie. While not the FKT, a detailed report (with splits) of a fast (8h14m14s) Pemi Loop by Kevin Tilton July 4, 2005, gives an idea of what is involved in running the Pemi. Three months later, Dannis reported (below) beating her own FKT by about 6 minutes, running 7h34m25s on Sept. 17, 2012. Kelsey Allen reported (below) setting a new women's FKT of 7h12m55s on August 30, 2014. I ran the Pemi Loop in 6h47m04s on September 8, 2010. After an email discussion with Peter I have decided to go back to the Pemi this Monday (September 20th), this time with a borrowed Garmin 305 gps watch for verification purposes. This post is to serve as my notification. If you're in the area and doubt my previous times (or don't doubt but are willing to come along to help verify the hike) please don't hesitate to be there. I'm shooting for a 9:15 to 9:30 arrival at Lincoln Woods and a 9:45 to 10:00 start. Also the date of my first Pemi FKT should have read September 7th, 2010. Yesterday didn't go so well: I just didn't have the legs, and struggled with cramping and nausea. I still managed to get to Galehead with about a 7 minute lead on Ben & Kevin (10 minutes behind my time), but decided to walk it in after South Twin as I hadn't been able to keep any food down since Garfield. I'll go back and prove myself another time. Proof of my splits is there, at least. Ryan Welts was there and ran a 7:14 if I'm remembering correctly. I saw him top out on Bondcliff at 4pm on the dot, and Rob (Sasquatch) can verify when they started. This is after a summer spent in the UK without running mountains. so when will this page be updated reguarding Jans FKT? Sorry, I had not realized that Jan's time wasn't recognized. Thx for pointing that out. Adam Wilcox just reported his time for his planned Pemi Loop - 6:46:10! Awesome job! Is Adam going to provide some sort of verification for this run? I note that he took just 56 seconds off the previously reported FKT! Yesterday I ran the loop counter-clockwise in 6:46:10. My splits are contained in my report and tracklog. I have a GPS track I am trying to figure out how to upload. I accidently left it on when we took a dip in the water and then again when we got back to southern NH so you may see some driving tracks. I am not too familiar with using this GPS yet. I will upload them as soon as I can. My splits are listed below. 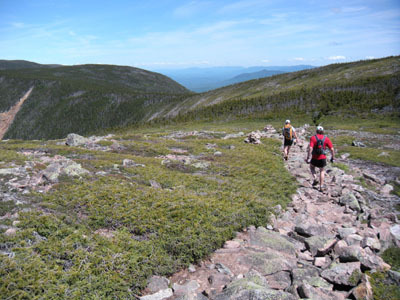 The Pemi Loop should be an official yearly mountain race in teams of two. I think by doing that mountain runners/hikers can all train and get together for a tough race, and the best can win bragging rights for the year.